Were you involved in a bicycle accident in the Quad Cities and suffered an injury as a result, leaving you with hefty medical bills and lost wages? Or your favorite mountain bike is now a crumpled pile of metal? You want to have someone who’ll advocate for you. You want an experienced bicycle accident lawyer to protect your rights, conduct a comprehensive investigation, and get full replacement value for your damaged bicycle and bicycle gear. 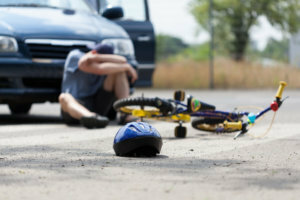 An experienced personal injury lawyer from Winstein, Kavensky & Cunningham has handled bicycle accident claims in the past and can negotiate with the insurance company to make sure you’re compensated fully and fairly for the damages you suffered.